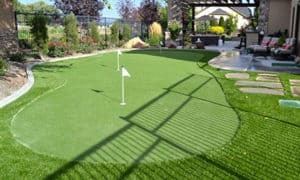 Gorgeous, natural-looking artificial turf landscape that will be the envy of the neighborhood or commercial property... all year round. Fuss-free and weather-proof all year long. ProGreen Artificial Turf offers solutions to the many problems homeowners face with their natural grass lawns. All of our products are durable, low maintenance, water conserving, and mud free. 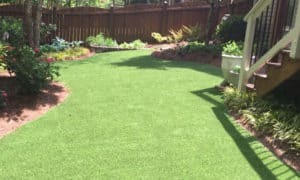 We have installed ProGreen Artificial Turf for our customers throughout the Denver Metro, Douglas County and surrounding areas, and what they always say to us is how much they enjoy not having to deal with the constant upkeep of a natural lawn. 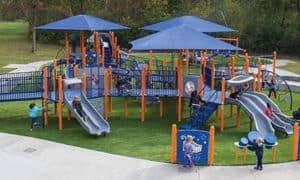 For some, they use it to step up their game by having us add a artificial grass putting green, or wanted it for their children's playground and pet area, or even have us add an athletic field for high use. It's also safe for pets, durable enough for rigorous play time and no more muddy paws. Fast-draining rinse-away cleanup. Saving Money! Our customers are loving the cost savings because of the lower water bill they are now getting. 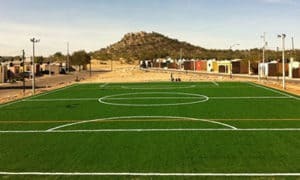 Perfect Turf is a proud dealer for ProGreen Artificial Turf, a USA based company. 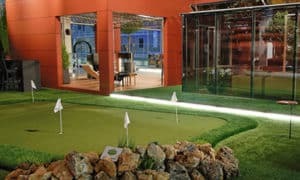 ProGreen started doing business in 1987 and has been producing artificial grass in the United States for over 30 years. With a long history of experience, they are devoted to producing only the best products for their customers. 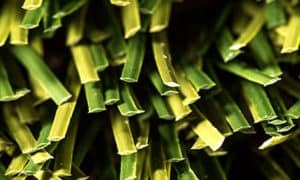 They offer an assortment of artificial grass products to choose from giving them several choices to fit their specific needs. 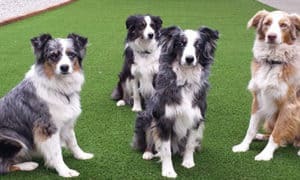 For details on ProGreen Synthetic Turf, please Click Here.